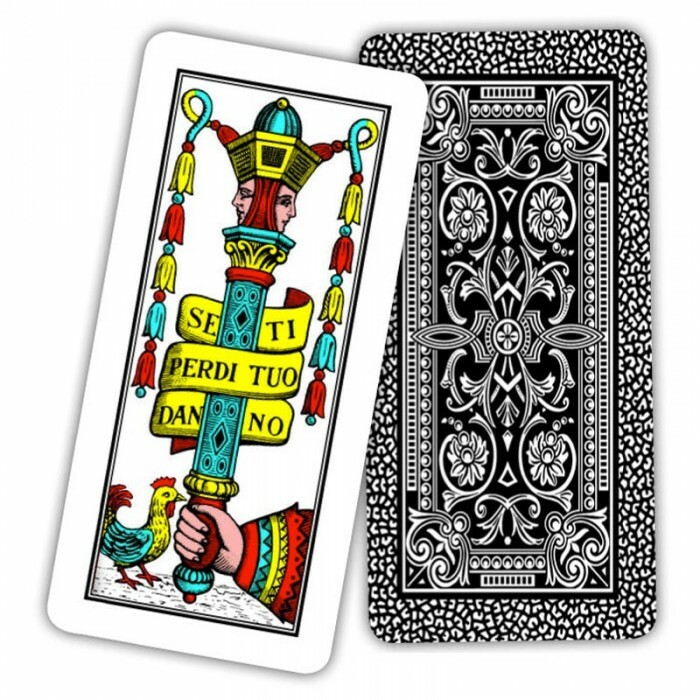 This card deck is slightly different in size (49 x 104 mm) reflecting the peculiar playing style of the Veneto Treviso Area. Each ACE (excluding the coins one) shows a printed idiom in old fashion Italian. The art also differs from the Napoletane deck; the pictures (Fante, Cavallo, Re - Valet, Knight, King) are also symmetrical illustrated. Many other games are also playable with this " top-notch " deck of cards such as: Briscola, Marianna, Tressette. 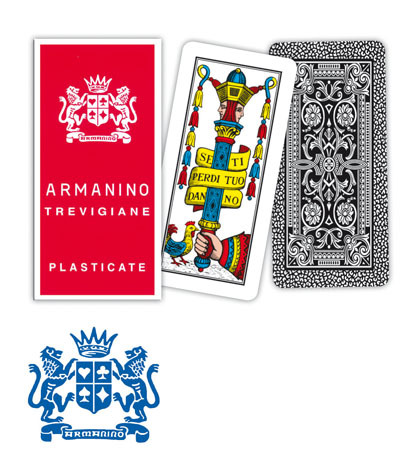 Modiano (Trieste - Italy); excellence unmatched in playing cards production!